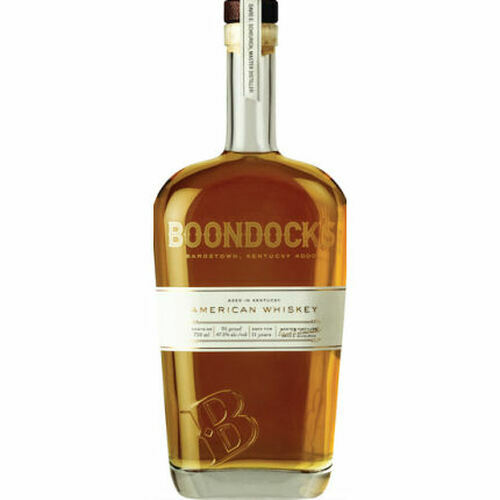 Aged for 11 years in American white oak barrel in Kentucky, Boondocks American Whiskey 95 Proof is made from corn, rye and malt. 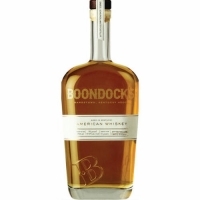 Aromas include fruitiness and exotic spices, the company says, along with subtler aromatic characteristics like toasted marshmallow oak barrel notes. Mouthfeel is creamy and buttery, the company reports, and overall the whiskey is spicy and warm and is sweet like cotton candy.